Compact: Small and rugged enough to be kept with the tuner -- so its always there as a quick reference when you need it. Never again be without a ready reference when its needed. 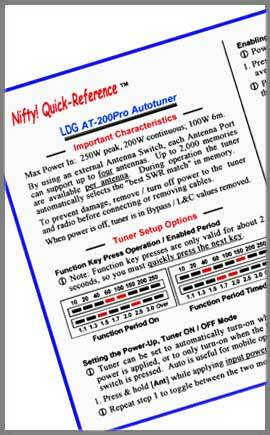 An invaluable aid for operating your LDG Tuner!